First published in the U.K. by Chrysalis Records Ltd.
℗ 1985 © 1985 Chrysalis Records Ltd. 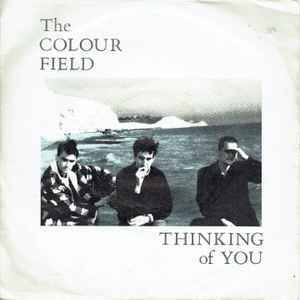 The group name on the labels is "The Colourfield". The A-side runout was originally "COLF3A", but the A has a B etched over the top of it. Likewise, the B-side runout was originally "COLF3A", but was changed to COLF3B and then back to COLF3A again. The similar blue labeled version is here Thinking Of You.